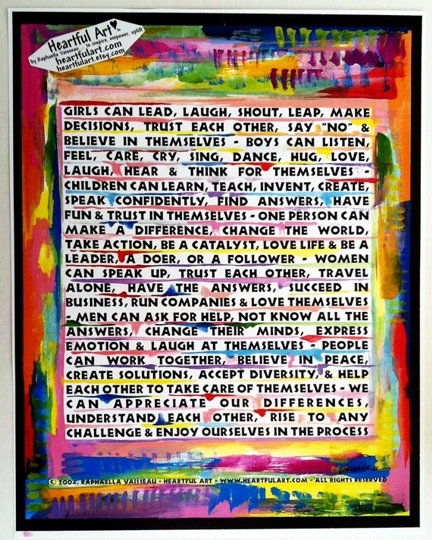 11x14 empowerment affirmation poster written and designed by Raphaella Vaisseau which lists anti-stereotype abilities for girls, boys, children, women, men, people, one person, and we. Look at things differently. Consider other points of view. Empower each other. Celebrate expression and love life.